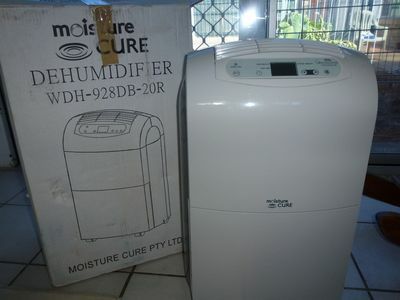 Moisture Cure 928DB-20R dehumidifier (3-4 bedr). 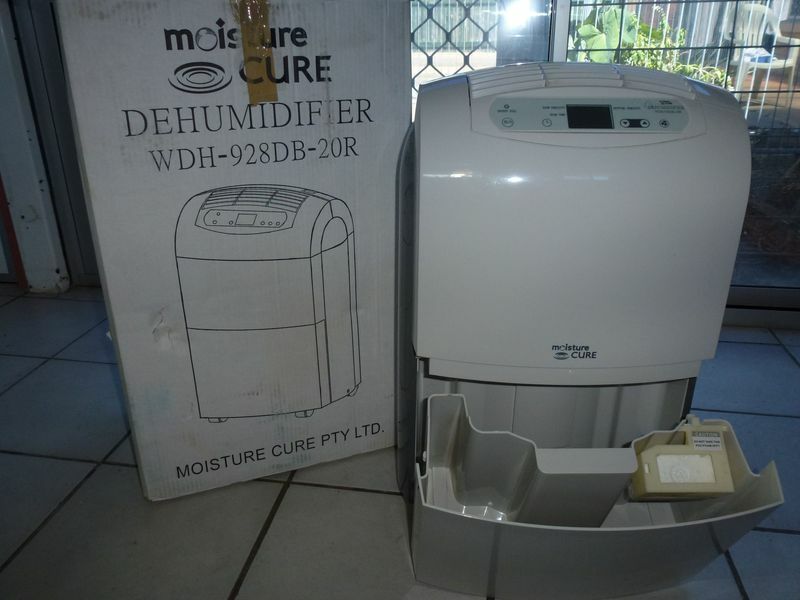 This is the premium 20 litre model for the large family home and areas requiring maximum humidity control. 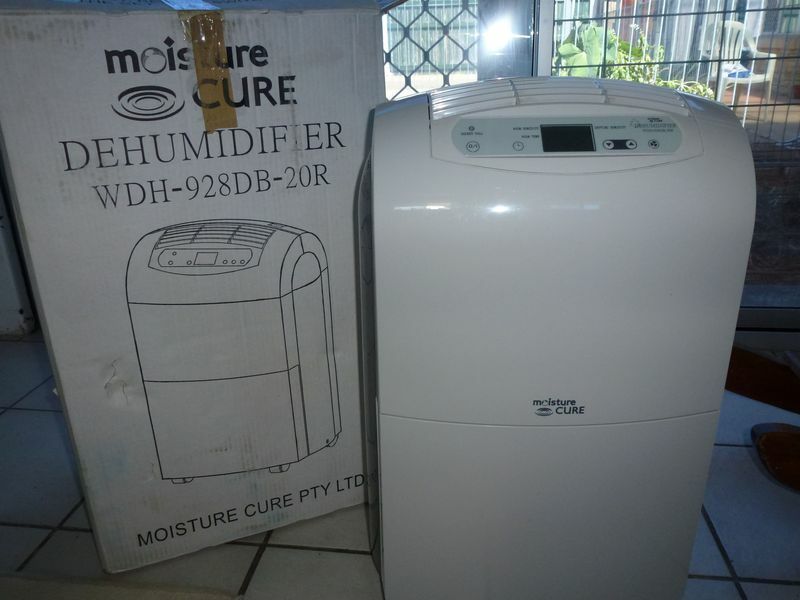 Capacity- 20 litre/day Holding tank- 4.8 litres Dimensions- H 612mm x W390mm x D274mm Weight-14.5 kg Noise Level-40db Mobility - Four sturdy castors, fold down handle LCD display 2 Speed fan 12 hour timer Input Power- AC 240V- Output 340 watt Retail for $920 Prefer pick up as it is heavy, but willing to send it by courier at buyer's expense. This item has only been used a few times and it's in perfect conditions.